Using APKPure App to upgrade WikiMaster, fast, free and save your internet data. WikiMaster is a game app that has over 450000 multiple choice questions on top of Wikipedia articles. Play a quiz challenge in any Wikipedia article and become WikiMaster among your friends, in the city, country or in the World. Or enjoy Wikipedia with this app as it aims to be the best mobile Wikipedia app. 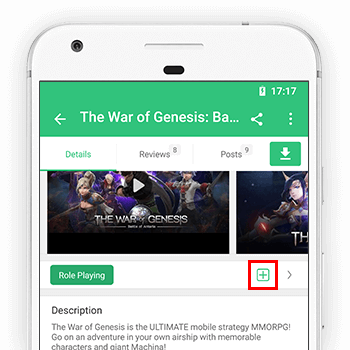 In WikiMaster you will get notified when other WOKers chat, challenge you to play and when you win or when a woker take your created questions. WOK is the Knowledge Network with WikiMaster as the main app in combining all the fun in learning from Wikipedia and then play quiz trivia games while also being a social network for knowledge. WOK is a community for knowledge where the WOKers create good and interesting questions in the Wikipedia articles for other WOKers to take. In any Wikipedia article. As a student, you can take any quiz related to your school subject with Personal Quizzes in Quiz Store having 3000 quizzes that will help your grades improve and prepare for National Exams. Teachers can create quizzes with questions from any Wikipedia article on any level. This app is the app for learning any subject on Wikipedia with fun. Sign up for free to become a WOKer! The app WikiMaster has no ads and is free for all. Welcome to the WOK: World of Knowledge! WikiMaster app is updated with a new version. The new in this version is the ability to get the NEW Web version in a browser with links to the quizzes since we have now open WikiMaster functions in http://wok.uno with possibility to get WikiMaster on Stationary Computers as well as in the mobile. Hold on the headline in Top Bar to open wiki on the web. Enjoy the quizzes with 466000 MCQs to Wikipedia in any device!